Home Politics Political Editorial And the Winner Is–Hillary Clinton! I have to be honest and say most vehemently that I never dreamed that in a million years that Donald Trump would get anywhere near the White House to become president of this country. I thought he was a joke but now I must admit that the joke is on me and maybe even you right now, as this historic race is way too close to call and shouldn’t be. I must also admit that I really and truly, honestly thought that our country had come a mighty long way on issues of race, gender, decency, and tolerance. But I was wrong on all counts. ‘Donald Dump’ is a winner or so it seems right now, whether he wins the election or not. I mean, what does he have to lose? Nothing. He is making money by even running for president, as he funnels campaign money right back in to his businesses from real estate to aviation. He’s spending other people’s money on himself and interests that he has, even after boasting that he would self-fund his entire campaign, claiming he was worth over $10 billion dollars. It’s unbelievable that his followers were attracted to that lie at the onset. And you know what? Dump is probably even more surprised than any of us that he has made it so far and done so well with the biggest con of his narcissistic and egomaniacal life. But for me it’s not Dump who is the biggest problem in this twisted tale of racial hatred, bigotry, resentful, fear mongering, terrorism management—it’s the millions of his supporters that I can’t get over. People like my neighbors, people who I looked at as brothers and sisters in the church, the ‘cats’ I hang out with at the barbecue joint down the street or those I have worked with for 25 years. These are the ones that terrify me because their leader is only one person but there are tens of millions of them lurking around. I was thrilled last night as I watched the debate. I was thrilled to say the least, because all of the folks I just mentioned were exposed for 100 million others to see clearly for all, that ‘they are as they follow’ the worst presidential nominee of all time. If I were these folks I would have been ashamed and highly embarrassed to no end, as my representative was expressing what are ultimately my personal views of monumental stupidity while characterizing himself as a bully, clown, and serial liar on the world stage. 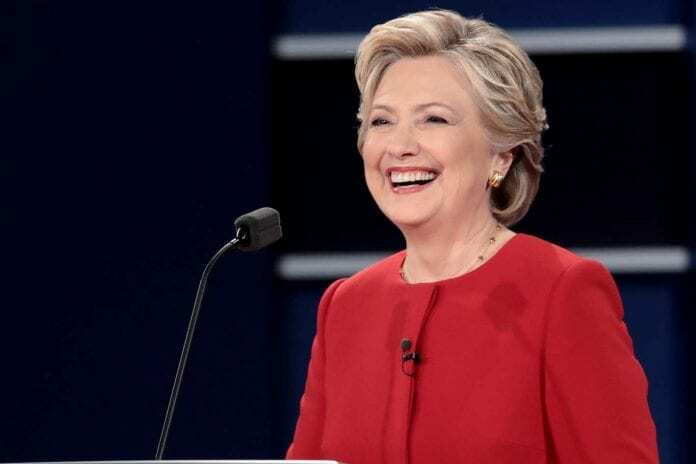 Mrs. Clinton was masterful in putting ‘Dump the Chump’ in his place with fact after fact, jab after jab, as he was beaten up by a girl who kept her cool and stripped him of his ego. She didn’t have to raise her voice or even talk all over the ‘Chump’ to make her point, as she was the presidential one while he was nothing but a sniveling, sniffling, blathering, five-year-old who was denied any opportunity to have his way for the first time in his juvenile life. Secretary Clinton did what fifteen other men didn’t do, as she squashed the roach that they couldn’t. She brought a crook to some justice that they couldn’t. She stood up to a little man when they wouldn’t. It was such a beautiful thing to see as we rejoiced together while watching the devil in a blue suit being easily vanquished back to the pit of hell where he belongs. She chewed him up and spit him out on his taxes, Iraq, “birtherism” and schooled him on stop and frisk with a little help from Lester Holt, who I thought Dump was going to call an ugly name we don’t use anymore. Dump got so beat up that if the debate were a boxing match I think it should have been stopped before he was wounded too bad or even killed. My goodness, last night was the best fight I’ve seen in a long time! But you know what, enough of that was not enough for a change. Next articleAre Beer Drinkers More Approachable?